In this step-by-step guide to more than three dozen advanced shamanic practices, James Endredy shares the wisdom and techniques he has learned through 30 years of working with shamanic teachers from all over the globe, including Huichol kawiteros, Tibetan lamas, Incan, Mayan, and Tukano shamans, Indian siddhas, the Kanaka Maoli of Hawai’i, and elders from many Native American tribes, such as the Seneca, Lenni Lenape, Arapaho, Sioux, Tuscarora, Yurok, Navajo, and Hopi. Endredy offers hands-on instructions for sacred Fire ceremonies, direct shamanic viewing, experiencing shamanic death and rebirth, working with and acquiring healing stones, shamanic lucid dreaming, shamanic healing, and advanced methods for acquiring an animal spirit guide, including how to properly retain its spirit in a sacred bundle or altar and how to use its power responsibly for healing. He provides a meticulous step-by-step approach to working with the five points of attention, a Huichol teaching on sacred awareness and shamanic levels of attention. He also examines the many ways that Psi phenomena and shamanism are linked and their relationship to the scientific concept of quantum entanglement. Showing how quantum physics is the scientific expression of shamanism, the author also explores the biological foundations of spiritual experiences, including the roles of serotonin, dopamine, and opioid transmitters, and the connections between altered consciousness and shamanic states. Integrating modern research with ancient knowledge to provide an enlightened view of shamanism that marries science and spirit, this guide offers authentic shamanic wisdom and techniques to help the solitary practitioner move forward on their shamanic path. The animals that are common to where we live are considered just that--“common”--and so are often overlooked when it comes to tapping into their magic and mystery. But, from over twenty years of working as a shaman with both animal spirits and human beings I can tell you that animal spirits come to people as the people become open and ready to receive them. If you live in the city, the spirit of the city squirrel may be much more approachable for you to work with on a daily basis than the spirit of a deer living in a secluded place in the mountains. There is a reason why you both live in the city, or the suburbs, or the country. And by already sharing the everyday sights, sounds, and smells of the area where you live, you already have much in common with those beings that you share your neighborhood with. What you consider to be familiar can tell you a lot about who you are. A powerful shamanic technique for employing the unique energy and essence of an animal spirit is to fashion a jicara that is infused by the spirit of the animal and by the living 4 entities that support the animal. The word jicara, in this context borrowed from the Wirrarika language, refers to a bowl used to hold sacred items. But in this case, even though the jicara exists in physical form, the objects being held by it come together to form something much more than the physical items themselves. The items contained by the jicara are the embodiment of something truly unspeakable. I’m going to call the unspeakable aspect of the jicara its “spirit,” simply due to the fact that the word spirit is commonly used to refer to a type of invisible animating force. Fashioning an animal spirit jicara begins with the bowl. The physical shape of the bowl helps create a spiraling vortex which acts as a womb to hold the spirit of the animal. The bowl is usually of gourd or clay and should be fashioned by you or acquired from someone close to you that has a genuine love for the materials of the bowl. The jicara will not be fully activated until the bowl is consecrated with the blood of the animal in the presence of the five life giving energies of the world--Earth, Water, Air, Fire, and Spirit. Since consecrating the jicara with the blood of the animal means that you will need the physical body of the animal in your hands, either alive or most usually dead, it will probably take you some time, maybe even years, in order to make this happen. This is simply part of the process, and in the meantime you will begin to work with the animal spirit in order to establish your connection and initiate your relationship. This implies seeking out the physical manifestation of the animal and spending time with it, watching it, studying it, talking to it, learning everything you can about it. During this time you will be collecting experiences, which will play an important part in the formation of the jicara. As you have more and more experiences with the animal you can gradually begin to collect the essences for the jicara by obtaining specific items infused with the energies that support the animal. These items can include living energies from the animal’s habitat, foods that it eats, items from other animals that are its ally or enemy, in short, anything that you deem significant to the animal through your actual experiences with it (not what you have read or been told about it) can potentially be used to form the jicara. The decision as to what or what not to use is purely personal, however, the more significant to the animal the items are the more power the jicara will hold. • One fully feathered wing from each of the last two wild turkeys that have given their life to me and that I’ve eaten. The feathered wings hold the key to the turkey’s ability to mysteriously disappear, blend into its environment, and escape powerful entities that want to devour it. • Drawings on the outside of the bowl depicting various significant events I’ve shared with the wild turkey spirit. • Important foods that I’ve seen the wild turkey feeding on--acorns, crabapple, red cedar, blackberry, cricket, grasshopper. • Items from the wild turkey’s predators--red tail hawk feathers, red fox teeth, two bullet shell casings blessed with deer blood. • I put soil from under a wild turkey nest into the bottom of the jicara to stick feathers into and to drip sacred blood into; apple tree twigs from the orchard in which I often find the turkeys; a small piece of deer hide because for me the two are connected; a small Huichol yarn drawing of the sun to honor my Huichol shaman mentor’s connection to the turkey, which is a bird of the sun; and small personal items from moments when the wild turkey spirit aided me in the course of my everyday life or during specific ceremonies and workshops. These types of periodic additions keep the jicara alive and the relationship with it active. As you acquire new experiences associated with the spirit of a particular jicara the power becomes cumulative and the jicara grows from infancy to maturity as your relationship with the animal spirit deepens and intensifies. The energy of the jicara can be used in many practical ways and is in no way imaginary. All of the energies and essences included in it are real and tangible, and most importantly they have been collected and honored by you through your hard work, time, and effort. 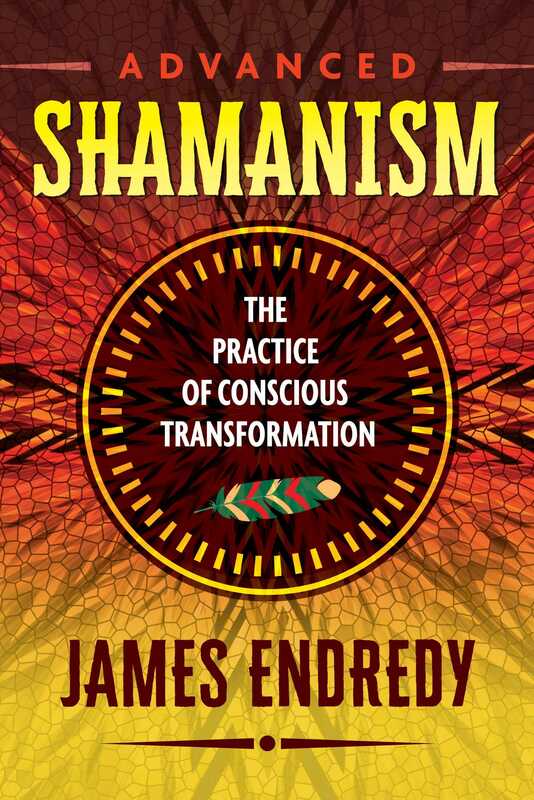 James Endredy is a practicing shaman of Hungarian descent who learned his craft from formal initiations with the peyote shamans of Mexico and through 30 years of living with and learning from shamanic cultures in North and South America. He is actively involved in preserving historic alchemy texts as well as the world’s indigenous cultures and sacred sites. The award-winning author of several books, including Advanced Shamanism, Teachings of the Peyote Shamans, Ecoshamanism, and Earthwalks for Body and Spirit, he lives in California.